Go ahead and think for a second of the cutest possible sound in the world. Need a hint? It involves puppies. Puppies barking, that is. I’m not sure there is anything more adorable than watching a bunch of curious, life-loving baby dogs finding their voice for the first time. In the video you’re about to watch, you’ll see just that! This compilation features several different breeds of spunky pups barking – and, not surprisingly, being adorable while doing it. We often forget that dogs’ barking serves as their way of verbally communicating; they are trying to talk to us! 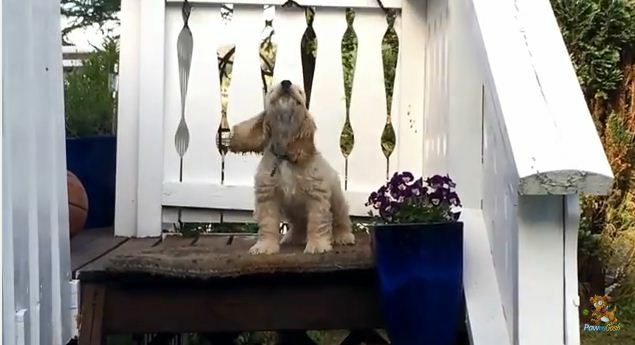 So when a puppy first discovers what it means to ‘speak,’ it’s a pretty exciting moment! So go ahead: take a couple of minutes to enjoy the pure joy you’re about to witness. These dogs are elated…and they want you to know! How hilariously cute is that!? Does your dog use barking as a means of communicating with you and other dogs? Do you find it endearing or bothersome? Share below!